Smartphones has certainly become our important part of our lives and we do care about it just like we care about our other precious materials. Sometimes, we do spend a lot of amount on getting the right taste smartphones with all the required and not so required features, but we miss out in terms of give protections. Although nowadays most of the smartphones comes with the high end protection of Corning’s Gorilla Glass, we do not care much about it. However, the smartphones are accompanied by high protective glasses, they are sometimes not strong enough to bear heavy damages and sometimes heat. In that case, a Tempered Glass Screen Protector can be the best option for your smartphone to provide an extra protection. 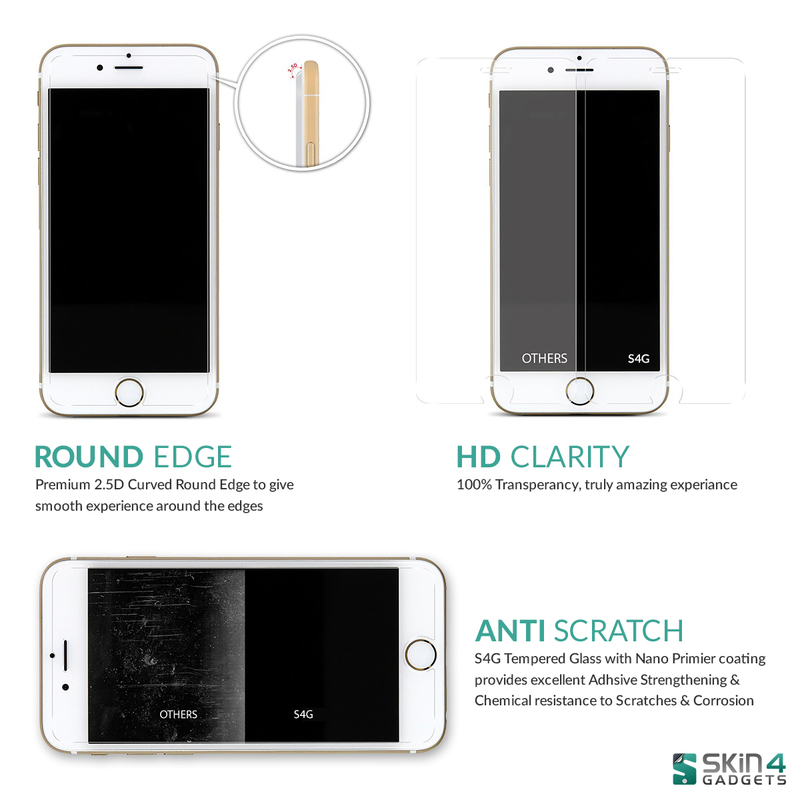 So, you might have a question that how can a Tempered Glass Screen Protector offer your smartphone a high ed smartphone. Well, then let me make you clear that a Tempered Glass Screen Protectors are not like the Plastic Screen Guards that you have usually used. Plastic Screen Guards are built to protect your smartphone’s screen from all scratches and dents, but they are not strong enough to protect the screen against the damages like the Tempered Glass Screen Protectors. Hence, the price of Tempered Glass Screen Protectors are usually high as compared to normal Plastic Screen Guards. A good glass film can withstand blades, scissors, keys and other hard, sharp objects above the ground scraping. Good tempered glass membrane is difficult to draw in the above obvious scratches. It scratches the glass film which is obviously not very good but at least better than getting scratches on the touch pad. The fingers feel the strokes on film glass, good tempered glass protective film feels that it is a very delicate, smooth feeling, it feels better than a lot of the original cell phone touch screen (bare screen). On the other hand, cheap quality scratch guards come with almost rough glass film, not smooth, sliding on the phone, a kind of sticky feeling. A good glass film would have relatively meticulous cuttings, one can simply hold the film posted up at the mobile phone, find the size and perfect coverage, particularly in some of the holes (photosensitive hole) where there is more reflection and is applied with no bubble. In case of cheap tempered glass, it is noticed that the size of the phone screen is asymmetrical, there are gaps, holes or certainly too large, because of the high technical requirements of the open hole. The manufacturers are slightly careless. Some people find fingerprints on their phone screen really annoying. Not to forget dripping oil and water spill, in a good quality tempered glass dripping water does not spread up. It is very difficult to use the touch screen and to type something in the glass surface. A good quality tempered glass screen protector would make sure this is not the case. A good glass screen protector will not shatter when thrown hard on the floor or fallen from certain height. Broken glass will not spread easily and hurt! If you are looking for one Tempered Glass Screen Protector at an affordable cost, then you can head over to amazon.in now.